The present study was carried out with an objective of preparation and in vitro evaluation of floating tablets of hydroxypropyl methyl cellulose (HPMC) and polyethylene oxide (PEO) using ranitidine hydrochloride as a model drug. The floating tablets were based on effervescent approach using sodium bicarbonate a gas generating agent. The tablets were prepared by dry granulation method. The effect of polymers concentration and viscosity grades of HPMC on drug release profile was evaluated. The effect of sodium bicarbonate and stearic acid on drug release profile and floating properties were also investigated. The result of in vitro dissolution study showed that the drug release profile could be sustained by increasing the concentration of HPMC K15MCR and Polyox WSR303. The formulation containing HPMC K15MCR and Polyox WSR303 at the concentration of 13.88% showed 91.2% drug release at the end of 24 hours. Changing the viscosity grade of HPMC from K15MCR to K100MCR had no significant effect on drug release profile. Sodium bicarbonate and stearic acid in combination showed no significant effect on drug release profile. The formulations containing sodium bicarbonate 20 mg per tablet showed desired buoyancy (floating lag time of about 2 minutes and total floating time of >24 hours). 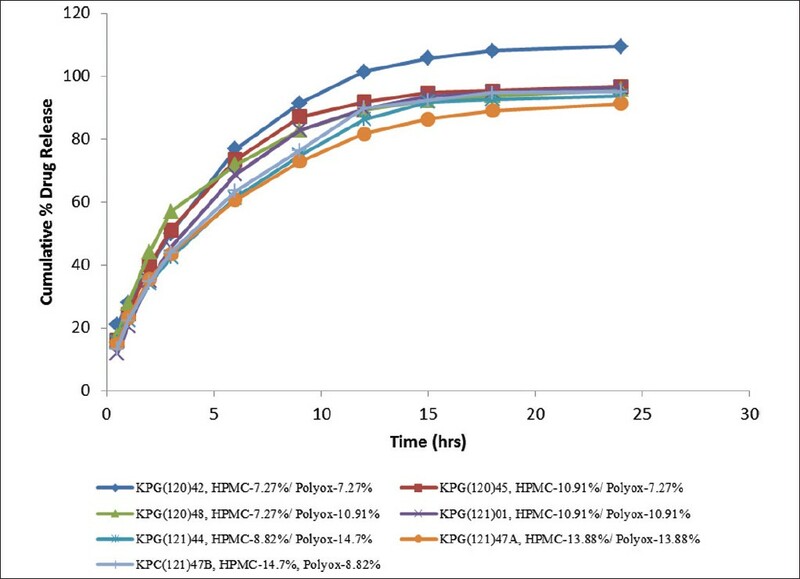 The present study shows that polymers like HPMC K15MCR and Polyox WSR303 in combination with sodium bicarbonate as a gas generating agent can be used to develop sustained release floating tablets of ranitidine hydrochloride. Flurbiprofen (FP) is a phenyl alkanoic acid derivative and a family of non-steroidal anti-inflammatory drug used in the treatment of arthritis. The aim of this study was to prepare a new parenteral formulation for FP that can prolong the biologic half-life of the drug, improve its therapeutic efficacy, and reduce its associated side effects targeting the inflammation due to arthritis. PEG-anchored (stealth) and non-PEG-anchored liposomes were prepared by thin film hydration technique followed by extrusion cycle and characterized for in vitro and in vivo. Stealth liposomes (SLs) exhibited increase in percent encapsulation efficiency (68%) and percent drug retention during release studies in 24 h (71%) with good stability for a period of 1 month at −20°C and 4°C (refrigerated temperature) compared with other liposomes. The maximum percent edema inhibition (58%) and significant analgesic effect of 13 s were determined for SLs. The pharmacokinetic parameters after i.v. administration to arthritis induced rats were determined and compared with non-SLs. The marked differences produced for SLs over those of non-SL (conventional) formulations with an increase in area under plasma concentration time curve, t1/2 , mean residence time, and reduced clearance. The drug localization in liver, spleen, and kidney were significantly higher for non-PEGylated liposomes than the SLs. Nearly 3-fold increase in drug concentration was measured in arthritic paw when compared with the other liposome formulations. Thus SLs may help to increase the therapeutic efficacy of FP by increasing the targeting potential at the site of action. Meclizine HCl is a poorly water-soluble drug having a very slow-onset of action. The effect of 2-hydroxypropyl-β-cyclodextrins and β-cyclodextrins on its aqueous solubility and dissolution rate was investigated. The phase solubility profile indicated that the solubility of Meclizine HCl was significantly increased in the presence of both 2-hydroxypropyl-β-cyclodextrin and β- cyclodextrin; an extend of increase being more for 2-hydroxypropyl-β-cyclodextrin. It was classified as AL -type, indicating the 1:1 stoichiometric inclusion complexes. The complexes formed were quite stable. The solid complexes prepared by physical mixtures, kneading methods, and co-precipitation methods were characterized using differential scanning calorimetry and FTIR. An in vitro study showed that the solubility and dissolution rate of Meclizine HCl were significantly improved by complexation with 2-hydroxypropyl-β-cyclodextrin. Tablet formulation using 1:1 kneading complex of Meclizine HCl and 2-hydroxypropyl-β-cyclodextrin with drug equivalent to 25 mg was prepared by a direct compression method. A dissolution study of prepared tablets was performed in 0.5% SLS in water (pH 7.0). Almost 96% drug was released from the formulation at the end of 30min. 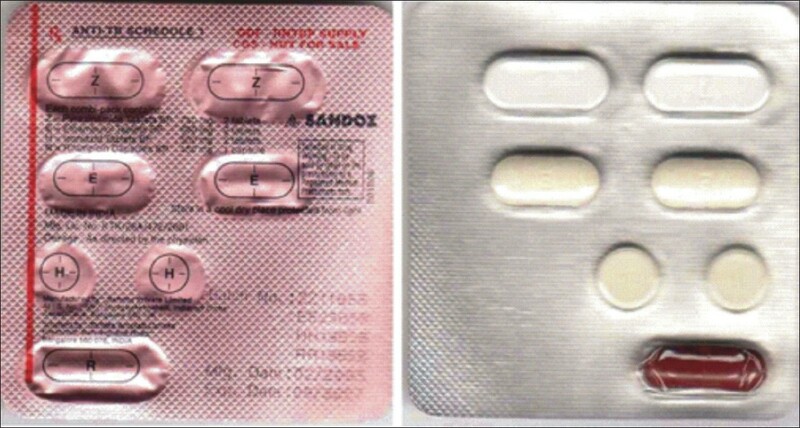 A comparison study of prepared tablets was done with marketed a Meclizine HCl 25 mg conventional tablet. From the results of dissolution study, it was found that the prepared formulation was showing better release, which was statistically significant P < 0.01 than a marketed tablet (paired t-test). Only 54% drug release was observed from the marketed tablet at the end of 30 min. Hence this study concludes that the solubility enhancement of Meclizine HCl could be successfully achieved using the inclusion complexation technique. Premna esculenta Roxb. (family Verbenaceae) is a shrub used by the ethnic people of Chittagong Hill Tracts of Bangladesh for the treatment of hepatocellular jaundice. The present study was done to evaluate the hepatoprotective and the in vivo antioxidant activity of ethanolic extracts of leaves of the plant in carbon tetrachloride-induced liver damage in rats. Hepatotoxicity was induced in rats by i.p. injection of CCl 4 diluted with olive oil (1:1 v/v; 1 mL/kg body weight) on alternate days for 7 days. After 7 days of pretreatment of test extracts, the biochemical markers such as Serum Glutamate Oxaloacetate Transaminase (SGOT), Serum Glutamate Pyruvate Transaminase (SGPT), Alkaline Phosphatase (ALP), total protein, and albumin were estimated followed by the measurement of liver cytosolic antioxidant enzymes such as superoxide dismutase, catalase, and peroxidase.The data were analyzed using one-way analysis of variance (ANOVA) followed by Dunnett's t-test. The extract both at the doses of 200 and 400 mg/kg p.o. significantly (P < 0.001) reduced the elevated levels of SGPT, SGOT, ALP and increased the reduced levels of total protein and albumin compared to the CCl 4 -treated animals. The extracts also showed a significant (P < 0.001) increase in the reduced levels of superoxide dismutase (SOD), catalase, and peroxidase. The effects of the extracts on these parameters were comparable with those of the standard, silymarin. The findings of the study indicate that the leaf extract of P. esculenta showed a potential hepatoprotective activity and the protective action might have manifested by restoring the hepatic SOD, catalase, and peroxidase levels. The results justify the traditional use of this plant in liver disorders. The present study was designed to evaluate the antidepressant potential of 5-HT3 receptor antagonist N-n-propyl-3-ethoxyquinoxaline-2-carboxamide ( 6n). The compound ' 6n' with optimum log P and pA 2 value identified from a series of compounds synthesized in our laboratory was subjected to forced Swim Test (FST) (1, 2, and 4 mg/kg, i.p) and Tail Suspension Test (TST) (1, 2, and 4 mg/kg, i.p.). The compound ' 6n' significantly reduced the duration of immobility in mice without affecting the baseline locomotion. Moreover, ' 6n' (2 mg/kg, i.p.) potentiated the 5-hydroxytryptophan (5-HTP)-induced head twitch responses in mice and ' 6n' at tested dose (1 and 2 mg/kg, i.p.) reversed the reserpine-induced hypothermia in rats. In interaction studies of ' 6n' with various standard drugs/ligands using FST, ' 6n' (1 mg/kg, i.p.) potentiated the antidepressant effect of venlafaxine (4 and 8 mg/kg, i.p.) and fluoxetine (10 and 20 mg/kg, i.p.). Additionally, ' 6n' (1 and 2 mg/kg, i.p.) influenced the effect of harmane (5 mg/ kg, i.p.) as well as reversed the effect of parthenolide (1 mg/kg, i.p.) by reducing the duration of immobility in FST. Furthermore, ' 6n' (1 mg/kg, i.p.) potentiated the effect of bupropion (10 and 20 mg/kg, i.p.) in TST. Chronic ' 6n' (1 and 2 mg/kg, i.p.) treatment attenuated the behavioral abnormalities in olfactory bulbectomized rats. In conclusion, these various findings reiterated the antidepressant-like effects of ' 6n' in behavioral models of depression. To evaluate the stain removal efficacy of a novel dentifrice containing papain and bromelain extracts (Glodent) in comparison with a control dentifrice (Colgate regular). This was a randomized, positive-controlled, double-blinded, clinical study. Subjects were randomly divided into one of the two study groups. Pre-treatment and post treatment photographs of the 4 anterior teeth were recorded under standardized conditions and analyzed for lightness or luminosity values using Adobe Photoshop. The difference between the mean pre-treatment luminosity of test and control groups was not statistically significant. In both test and control groups, the post-treatment luminosity was significantly higher than pre- treatment luminosity (P < 0.001 and P = 0.003 respectively). The mean post-treatment luminosity for test group was found to be significantly higher than control group. The mean percentage removal of stains for test group was significantly higher than control group. The test dentifrice showed significant stain removal when compared to control which could be attributed to the role of proteolytic enzymes in the test dentifrice. In India, interruptions to highly active antiretroviral therapy (HAART) are due to adverse drug reactions. This study was aimed to assess the association between HAART adherence and adverse drug reactions (ADRs) in human immunodeficiency virus (HIV) patients. This prospective study was conducted at a Medicine department in a South Indian tertiary care teaching hospital. HIV-positive patients were interviewed for adherence using ACTG adherence questionnaire and intensively monitored for ADRs to HAART. The percentage of adherence was calculated based on missed doses, and graded as less than 80%, 80-95%, and >95%. The World Health Organization (WHO) probability scale was used for causality assessment. Logistic regression analysis as well as univariate analysis was used to assess the association (P value < 0.05). A total of 105 HIV-positive patients had been taking HAART out of whom 50 (47.6%) patients agreed for adherence assessment, and 23 (21.9%) refused due to social stigma. Upon evaluation of the patient characteristics in the reported adherence, 78% were in males (53.8%) and 22% were in females (46.2%) with the level of adherence greater than 95%. Six (12%) patients had a regular alcoholic intake with adherence less than 80% compared to 31 (62%) patients who never had any alcoholic intake (P < 0.05). A significant association between ADRs and adherence was found (P < 0.05). Causality found by the WHO scale was "probable." Clinicians must focus on education regarding the need for adherence, possible adverse effects, and early detection and prevention of ADRs to HAART. To evaluate and analyze the handwritten outpatient prescriptions and associated error of omissions from four different hospitals in Oman. The study designed was an observational, retrospective and analysis of prescriptions was carried out by table and chart method. 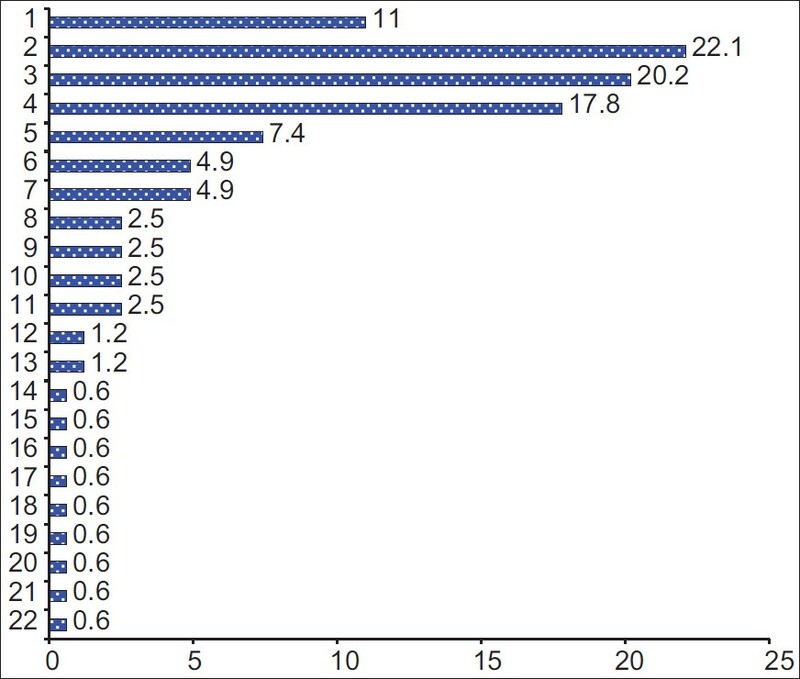 A total of 900 prescriptions were collected between April 2009 to July 2010. The type of error of omissions considered in this analysis includes all three important parts of prescriptions, i.e. superscription, inscription, and subscription. The most common type of superscription error of omission was found to be age (72.44%) and gender (32.66%). More than 46% of prescriptions were incomplete on direction for use, more than 22% of prescriptions were not having the information on dose, and more than 23% of prescriptions omitted the dosage forms of prescribed drugs. 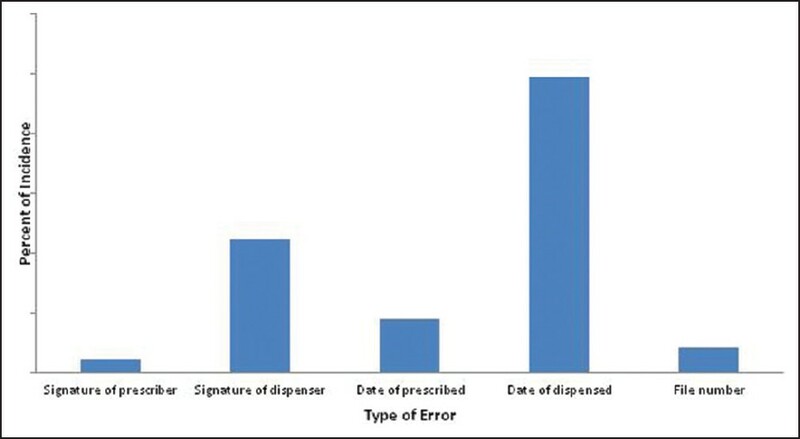 The date of dispensing of medications was omitted in all the prescriptions and more than 44% of prescriptions were missing the signature of dispenser.It was also found that more than 4% of prescriptions omitted the prescriber's signature and more than 18% of prescriptions omitted the date of prescription. We conclude from this study that the handwritten prescriptions were associated with significant frequency of minor and major prescription error of omissions. Total world population consists 21% of geriatric population, and the 1991 census report shows that there are 57 millions in India. 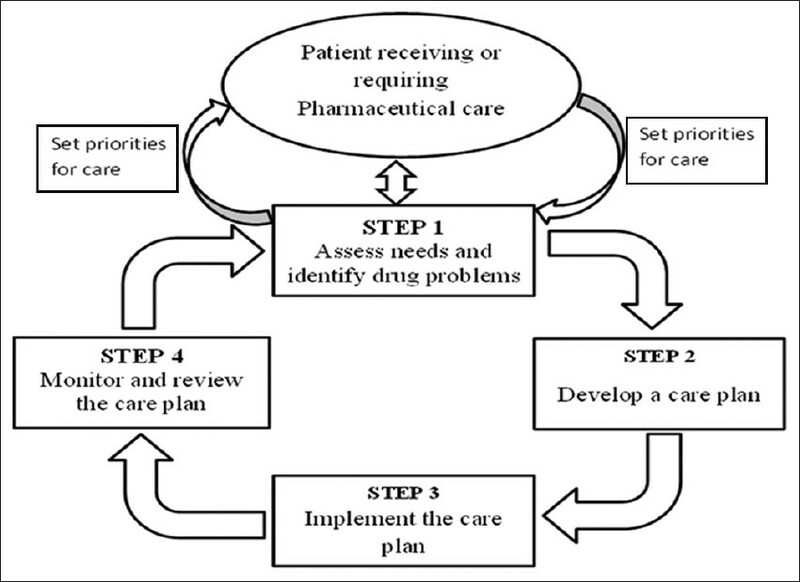 The high rate chronic problems of elderly patients attributes to various drug-related problems (DRP). It was a prospective observational study where eligible patients were enrolled after obtaining their consent. The patient data were collected in a well-designed data collection form, and the data were data were analyzed statistically. The results showed that among 163 geriatric patients, males were more, i.e. 107 (65.6%), than females 56 (34.4%). A total of 149 (90.2%) patients needed medication counselling (*P = 0.012) and 13 (8%) prescriptions had drug-drug interaction (P = 0.152). Thirty-one (19%) patients were using medication inappropriately (P < 0.001) and 40 (24.5%) patients had risk factors for DRPs (P < 0.001). Laboratory tests were required in 32 (19.6%) patients (P = 0.001) and medical chart errors were reported in 7 (4.3%) patients (P = 0.005). The majority of the patients, 136 (83.4%), had medication-related problems (MRP, P = 0.032). This study concluded that most of the enrolled geriatric patients were using medication inappropriately and most of them had MRP. Radiopharmaceuticals are special drugs that in the composition preserve one or more radionuclides which can be used as diagnostic or therapeutic tools in Nuclear Medicine Units. This study evaluated hospitals and clinics which have nuclear medicines services at the city of Rio de Janeiro from August to November 2010. The data were obtained through a longitudinal research. 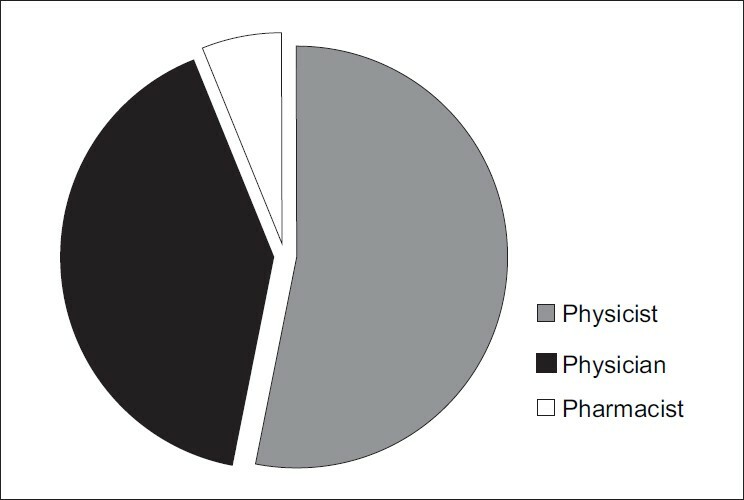 The results showed that most of the hospitals (>80%) did not have pharmacist and all them (100%) considered that a pharmacist in the nuclear pharmacy is not required. Pharmaceutical care signifies a shift of practice in pharmacy from being drug product-oriented to the one that is patient-oriented to achieve definite outcomes that improves patients' quality of life. In order to achieve pharmaceutical care, pharmacists have to assume the role of caregiver, communicator, decision-maker, teacher, researcher, life-long learner, leader, and manager, which will help him to provide individualized care. As the patients visit community pharmacists more often, they can play a major role in providing individual care to the patients especially in the management of chronic noncommunicable diseases (NCDs). Community pharmacists have to upgrade their expertise in drug product orientation to that of clinical orientation to provide patient oriented care. 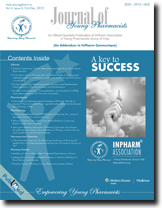 Hence pharmacists have a larger role to play in managing NCDs which are rapidly increasing in India. The management of cardiovascular disorders poses a dilemma for the medical fraternity. Calcium channel blockers are one of the most commonly used drugs for the management of this disorder, and it is also a well known fact that they are one of the most common group of drugs responsible for causing gingival over growth as one of their adverse effects. Amlodipine is a new generation hypertensive, which has found wide acceptance and usage due to its duration of action. 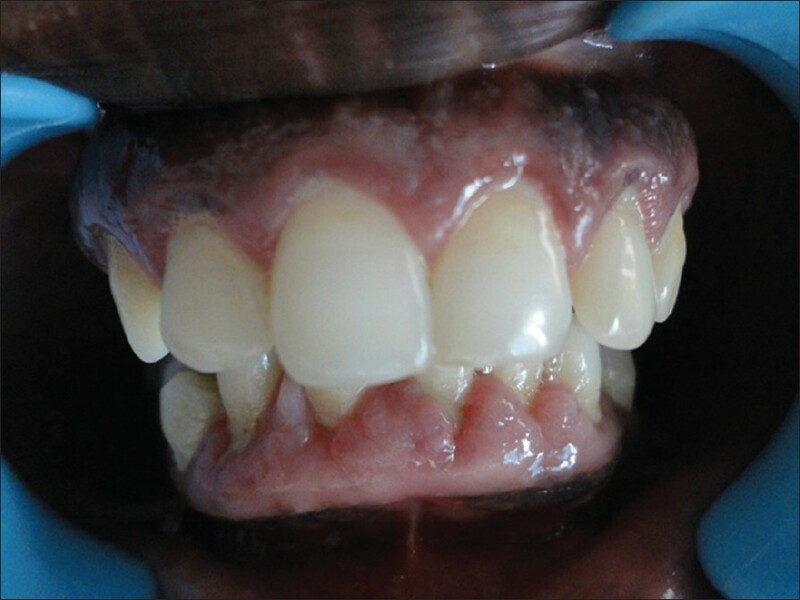 Even with all its benefits as a potent hypertensive, its effect on gingival tissues is what causes concern to the patient and dental surgeon equally. The objective of this article is to create awareness regarding the adverse oral effects of amlodipine, its underlying mechanism of action in bringing about this adverse reaction, along with providing a brief review of the pharmacologic profile of this drug.